Scientists have found the first major evidence that Neanderthals, rather than modern humans, created the world's oldest known cave paintings - suggesting they may have had an artistic sense similar to our own. 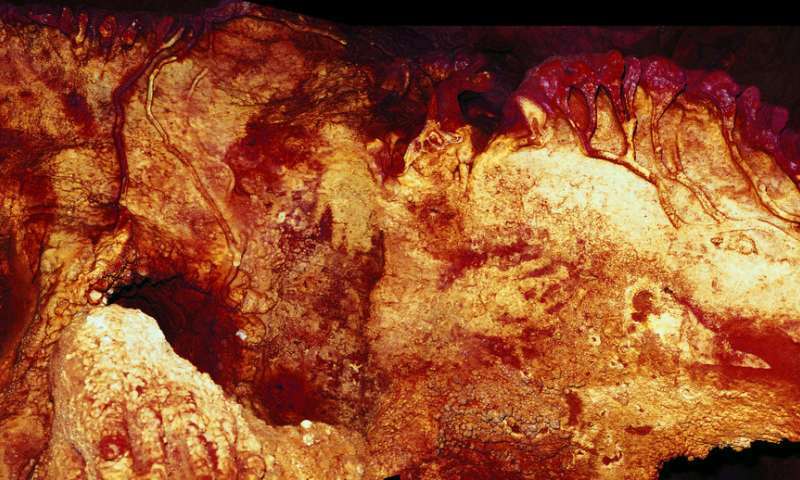 A new study led by the University of Southampton and the Max Planck Institute for Evolutionary Anthropology shows that paintings in three caves in Spain were created more than 64,000 years ago - 20,000 years before modern humans arrived in Europe. It also indicates that they thought symbolically, like modern humans. Published today in the journal Science, the study reveals how an international team of scientists used a state-of-the-art technique called uranium-thorium dating to fix the age of the paintings as more than 64,000 years. The uranium-thorium method involves dating tiny carbonate deposits that have built up on top of the cave paintings. These contain traces of the radioactive elements uranium and thorium, which indicate when the deposits formed - and therefore give a minimum age for whatever lies beneath. Joint lead author Dr Chris Standish, an archaeologist at the University of Southampton, said: "This is an incredibly exciting discovery which suggests Neanderthals were much more sophisticated than is popularly believed. 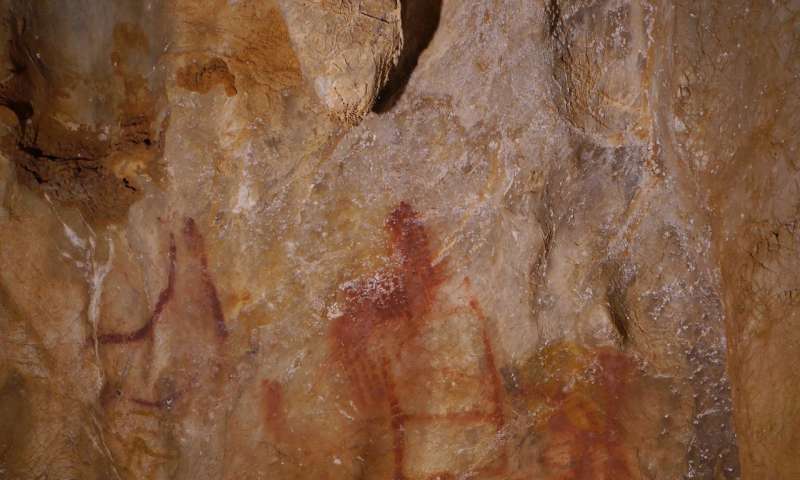 "Our results show that the paintings we dated are, by far, the oldest known cave art in the world, and were created at least 20,000 years before modern humans arrived in Europe from Africa - therefore they must have been painted by Neanderthals." Alistair Pike, Professor of Archaeological Sciences at the University of Southampton and co-director of the study, said: "Soon after the discovery of the first of their fossils in the 19th century, Neanderthals were portrayed as brutish and uncultured, incapable of art and symbolic behaviour, and some of these views persist today. "The issue of just how human-like Neanderthals behaved is a hotly debated issue. Our findings will make a significant contribution to that debate." Joint lead author Dirk Hoffmann, of the Max Planck Institute for Evolutionary Anthropology, added that symbolic material culture - a collection of cultural and intellectual achievements handed down from generation to generation - has, until now, only been attributed to our species. 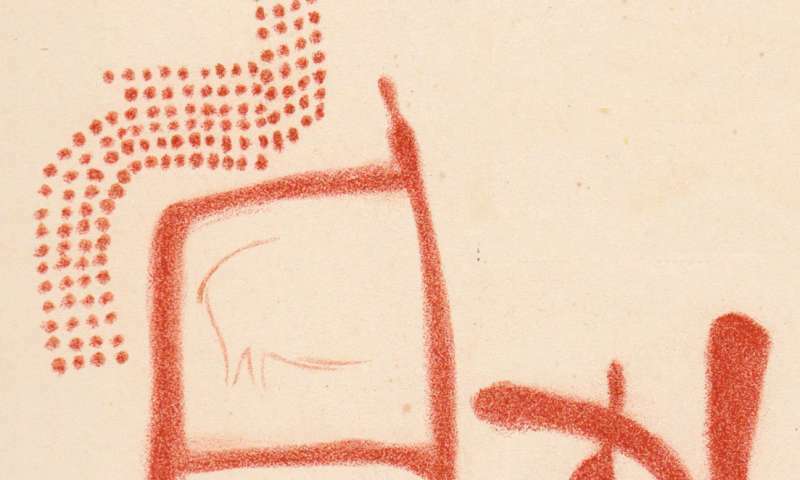 "Artefacts whose functional value lies not so much in their practical but rather in their symbolic use are proxies for fundamental aspects of human cognition as we know it." Early symbolic artefacts, dating back 70,000 years, have been found in Africa but are associated with modern humans. Other artefacts including cave art, sculpted figures, decorated bone tools and jewellery have been found in Europe, dating back 40,000 years. But researchers have concluded that these artefacts must have been created by modern humans who were spreading across Europe after their arrival from Africa. There is evidence that Neanderthals in Europe used body ornamentation around 40,000 to 45,000 years ago, but many researchers have suggested this was inspired by modern humans who at the time had just arrived in Europe. Study co-author Paul Pettitt, of Durham University, commented: "Neanderthals created meaningful symbols in meaningful places. The art is not a one-off accident. "We have examples in three caves 700km apart, and evidence that it was a long-lived tradition. 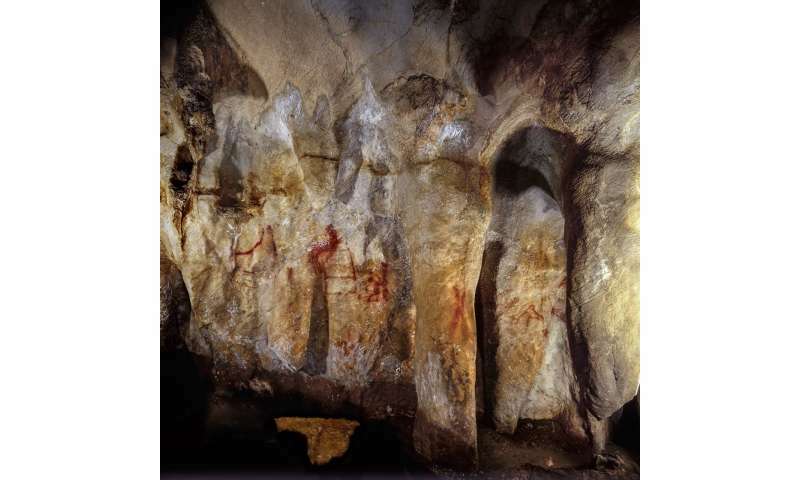 It is quite possible that similar cave art in other caves in Western Europe is of Neanderthal origin as well." That Maltravieso Cave takes imagination. Sigh,....Neanderthals WERE human, finish and klaar. It's only the continual clinging to the evolutionary dogma that still makes people want to find a difference between them. If it walks like one, quacks like one, makes cosmetics like one, makes artwork, musical instruments and other decorative items like one, makes tools like one then it most probably is ONE! Yes, we know they were human. As were H. erectus. However, they were genetically more different from any H. sapiens than any two H. sapiens are from each other. So, an Inuit is far more closely related to an Australian aboriginal, than either are to neanderthals. That is why we can trace how much neanderthal DNA each of us carries. It is distinct. Personally, I'd call them a sub-species of H. sapiens, but that is merely semantics. We split from a common ancestor likely ~ 500 000 years ago.